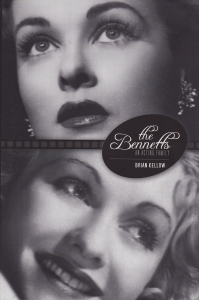 The Bennetts concentrates on two generations of the Bennett family. The first half of the book focuses on Broadway provocateur Richard Bennett and his tumultuous marriage to acting scion Adrienne ‘Mabel’ Morrison. Their marriage produces three daughters– vain, self centered Constance, alcoholic and troubled Barbara, and fiercely protective and sympathetic Joan. The book traces the family chronologically from 1870 to 1990, beginning with Richard’s birth and ending with Joan’s death. In the confession pictures [like The Easiest Way and The Common Law], the rich had been shown as callous, manipulative, inhumane, self-protective, the real cause of the suffering of the defenseless poor. But now this view seemed unsophisticated. The screwball comedies humanized the rich by burlesquing them, portraying them as a bunch of unruly, undisciplined children. by showing the upper classes to be wildly irresponsible, even addled, these films permitted audiences to take a more indulgent view of them– they could shake off their resentment and laugh at them. And as they went home, they could console themselves with the thought that they possessed things that the rich didn’t– stability and common sense, for instance. It’s apparent that Kellow was drawn to the family by Joan’s string of noir films in the 40s– he luxuriates attention on The Woman in the Window, Scarlet Street, and The Reckless Moment. For the pre-Code era specifically, he has nice words for Joan’s Me and My Gal with Spencer Tracy (as well he should) and Constance’s What Price Hollywood?. But he’s not afraid to be critical of either Joan or Constance, pointing out bad performances or movies made just for the money. He dismisses much of Joan’s early acting as wooden, and he delves into Constance’s inability to care enough for her career to see it flourish. The Bennetts: An Acting Family can feel daunting in a number spots. There are several chapters that simply alternate between the sisters getting married and divorced, making the book feel much like a merry-go-round– Constance goes through five marriages, Joan four, Richard and Barbara three, and Mabel rounds it out with two. This makes it difficult later to keep track of all of the different people who’d floated in and out of their circles and exactly whose kid is whose, so I’ll be the cretin who admits that a chart of their different entanglements would have probably helped me keep it all straight. Like a lot of biographies, it also feels bottom heavy– the problem of writers coming in at the end or after their subject’s lives and only being able to talk to those who knew the subjects later in life. Much information comes directly from Joan, Barbara, and Constance’s kids, but, surprisingly, they seem very frank and honest about their parents, tempering praise with weary resignation of parents who were alternatively kind, absent, or painfully vain and strict. In spite of it, though, Kellow does a great job juggling the story of Bennett family itself as well as the people who made the biggest impacts on their lives. It’s an intense, smart story of a family that tore itself apart, as well as an excellent documentation of how ugly America’s transition from stage to screen to television was for those in the industry. Thanks to Christina Rice for suggesting the book to me! You can read the list of other biographies she recommends here. 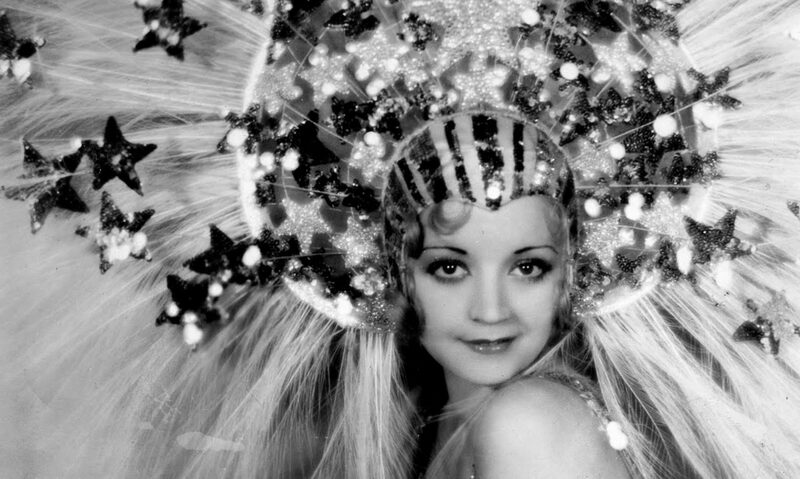 For more pre-Code book reviews, please go here. Margaret Talbot’s biography of her father Lyle, THE ENTERTAINER, is a must! I’ve heard good things. I’ll have to check it out! Glad to hear you took my advice and didn’t regret it! It’s the most page-turny Hollywood bio I have ever read (though I’d love to think Ann Dvorak is comparable). It was a blast, the perfect book to read on Waikiki. 🙂 Thanks for the rec! Next PostNext The Dawn Patrol (1930) Review, with Richard Barthelmess and Douglas Fairbanks, Jr.